DealDash can help you stay on your budget in a few different ways. There are some things that households need to buy weekly, monthly, or bi-monthly and DealDash has a lot of these items up for auction. Here are a few staple items that most households use on a regular basis. Babies go through approximately 4-8 diapers a day depending on their age. Luckily DealDash has them up for auction occasionally. 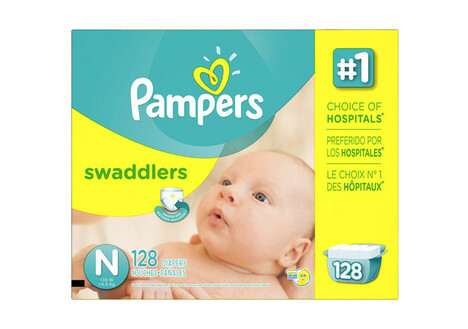 Every time you bid on diapers on DealDash you have a chance of getting a great discounted price. Even if you don’t win them you are still earning clock time towards free bids that you get to keep even if you end up BINning (Buy It Now) them and getting all of your bids back. DealDash has other baby supplies that you might need as well. You can find those items by clicking on this link here. Does your family go through a lot of dishwashing detergent? My family sure does! We use both the dishwasher detergent as well as the regular liquid dishwashing soap for the pots and pans. We are a family of 5, so we make a lot of dirty dishes and go through the detergent very quickly. The great news is that DealDash has dishwashing detergent up for bid! They even have my favorite kind, Dawn, in both types – dishwasher detergent and regular detergent. We go through one of each every month or so, this is a great item to bid on and be willing to BIN. Remember, if you don’t win you can always BIN (Buy It Now and get all of your bids back.) If you’d like to bid on dish detergent, just go to this link here. In addition to physical products, DealDash has some awesome gift cards up for bid. Do you shop at Wal*Mart, Lowes, Old Navy, TJ Maxx, or get your gas at Shell? DealDash has gift cards for all of these places and more. When you win or BIN a gift card from DealDash you also get free shipping. If you would like to see all of the gift cards that DealDash has up for auction just click this link here and it will take you to the Gift Card category. After reading this article I hope that you have a better idea of what types of things that DealDash has to offer that households need on a regular basis so you can stick to your budget. How about getting some of these essentials on DealDash? They have all types of items in many different categories there. Go find some awesome products. Good luck and happy bidding everyone!